In 1891, Henry W. Sage (pictured above, left), a lumber industry giant, endowed the Sage School of Philosophy. While philosophy had been taught before at Cornell, it had not been done very successfully. With the founding of the Sage School, philosophy became central to the university's curriculum. Sage named the school for his wife, Susan Linn Sage, who was tragically killed in 1885 in a carriage accident on Slaterville Road. Sage, President of Cornell's Board of Trustees since 1875, also honored his wife by naming Cornell president Jacob Gould Schurman (pictured above, right) the Susan Linn Sage Professor of Christian Ethics and Mental Philosophy. The Philosophical Review was the first genuine philosophical review in the country, and was founded in 1891 as part of the original endowment of the Sage School of Philosophy. It has been published continuously under the editorship of the Sage School since its first issue appeared in January 1892. Professor Michelle Kosch is currently editor-in-chief; Professor Nicholas Silins serves as editor. George H. Sabine wrote the important "A History of Political Theory" (1937), which provides an account of political theory from the Ancient Greeks to the Nazism and Fascism of his time. 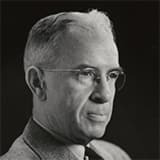 He served as Dean of the Graduate School (1940-44) and Vice-President of the University (1943-46). 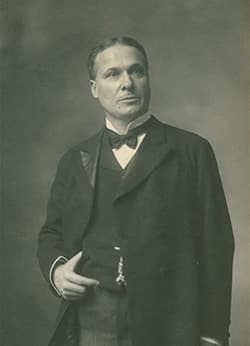 Edwin A. Burtt, Susan Linn Sage Professor, wrote the influential book "The Metaphysical Foundations of Modern Physical Science" (1924). This book grew out of his Columbia University dissertation on Isaac Newton of 1920 and continues to be of significant scholarly interest due to its untimely anti-positivism and anti-scientism. Some of its themes were later taken up by Thomas Kuhn in his groundbreaking "The Structure of Scientific Revolutions" (1962). Burtt was a long-time faculty member of the Sage School, remaining at Cornell his entire career and continuing to write well into his 90s. Max Black was originally from the Russian Empire but grew up and was educated in England. He was already a well-known scholar in analytic philosophy at the time he was hired in 1946 and was to remain at Cornell for the rest of his career, until 1977. 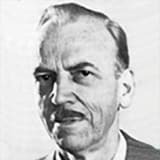 He was a leading figure in the Sage School, and his accomplishments include the founding of Cornell's Society for the Humanities in 1965. Norman Malcolm was from Kansas and studied philosophy at the University of Nebraska under O.K. Bouwsma, who was one of the early expositors of the philosophy of Ludwig Wittgenstein. Malcolm studied with Wittgenstein at Cambridge in England in the 1930s and became the most influential proponent of Wittgenstein's later thought in America. He also wrote widely read papers on free will and determinism, philosophy of mind and philosophy of religion. Malcolm was hired in 1947 and was active in the Sage School until his retirement in 1978. 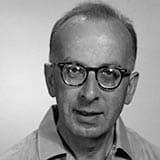 In 1948, Gregory Vlastos, one of the greatest scholars of Greek philosophy of the mid-20th century, left Queen's University in Canada to become Susan Linn Sage Professor of Philosophy at Cornell, where he stayed until leaving for Princeton in 1955. The Cornell years marked a critical stage in his intellectual development. Professors Max Black and Norman Malcolm introduced Vlastos to a mode of philosophy that influenced his sense of which problems were important and, even more significantly, of the clarity and rigor with which they should be discussed. The result was a decisive change in the way Greek philosophy was studied in the English-speaking world. Vlastos' work in this period resulted in a synthesis of the history of ancient philosophy and analytic philosophy that continues to the present day. 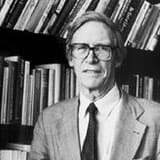 John Rawls, who was to become the greatest of American political philosophers, joined the Sage School in 1953 and stayed until the early 1960's. While at Cornell he published the important "Two Concepts of Rules" and worked on his masterpiece, "A Theory of Justice" (1971). The core idea of his liberal political philosophy is that the most reasonable principles of justice are those everyone would accept and agree to from a fair position. More specifically, principles of justice are to be determined by the device of the hypothetical original position, in which citizens reason to such principles from behind the "veil of ignorance," which conceals from them information that distinguishes them from others, such as information about their class, wealth, race and ethnicity, and gender. The philosophy of Ludwig Wittgenstein was strongly influential in the Sage School from the late 1940s into the 1960s, beginning with the arrival of Max Black and Norman Malcolm. Black was the author of a book on the early Wittgtenstein; George Henrik von Wright, a member of Wittgenstein's inner circle, gave a seminar at Cornell on the Tractatus in 1955. But it was especially Wittgenstein's later work, articulated in the "Philosophical Investigations" (1953) that engaged the interest of the faculty and graduate students. Malcolm was an especially prominent interpreter of Wittgenstein's later philosophy, specifically on such matters as the rejection of the possibility of a private language, and his own work was strongly influenced by it. 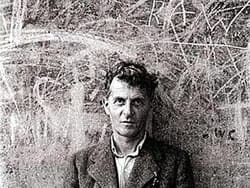 Wittgenstein famously visited Malcolm in Ithaca from July to October of 1949 and had several meetings with graduate students. Richard Boyd, a proponent of scientific realism, joined the Sage School in 1972. Scientific realism, which, by contrast with the instrumentalist anti-realism prominent during the positivist era, argues that the predictive success of scientific theories and their capacity to generate successful research projects indicates that they are approximately true and that their theoretical terms refer to really existing entities. Boyd's realism was endorsed by Sydney Shoemaker and Nicholas Sturgeon, among others at Cornell. Antireductionism was championed by Richard Boyd, Sydney Shoemaker, Nicholas Sturgeon and Richard Miller. The logical positivists had argued for the unity of science, by which they meant the reducibility of all the sciences to the single foundational science of physics. By contrast, Cornell antireductionists argued that the entities and laws that figure into the various successful special sciences do not reduce to laws and entities in physics. Sciences such as biology and psychology thus have a metaphysical integrity that they are claimed to lack by the opposing reductionist camp. Sydney Shoemaker and Carl Ginet have been working in metaphysics and epistemology at Cornell since the late 1960s and early 1970s. Both did their graduate work at Cornell – Shoemaker with Norman Malcolm and Ginet with John Rawls. Although Shoemaker studied Wittgenstein with Malcolm early on, his work reflects the realism and lack of discomfort with metaphysics that characterized analytic philosophy more generally beginning in the 1960s. Shoemaker did groundbreaking work on personal identity, on self-knowledge, and in philosophy of mind and the metaphysics of nonreductive physicalism. In philosophy of mind, his work on functionalism, according to which mental states are to be characterized in terms of the structure of causal relations in which they have a place, and his theory of the realization of the mental by the physical, are widely appreciated. 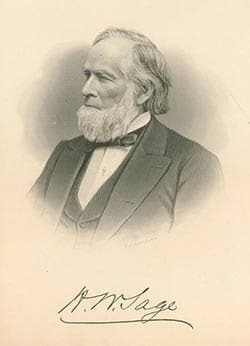 Shoemaker was, along with Malcolm and Black, one of the three members of the Sage School to serve as the president of the American Philosophical Association. Carl Ginet is well known for his work in epistemology and in theory of action. His book in epistemology, "Knowledge, Perception, and Memory" was published in 1975. In action theory, Ginet is one of the most prominent contemporary proponents of a non-causal theory of basic action, according to which we are subjects of basic actions, such as decisions, without causing them; and of an incompatibilist theory of free will, according to which the ability to do otherwise is incompatible with causal determination. Ginet's position is set out in his 1990 book, "On Action," which continues to be widely read and cited. Ginet and Shoemaker retired in 1999 and 2004 respectively, but continue to be active in the Sage School. Nico Silins, who arrived in 2006, is the current specialist in epistemology, and he has published a number of prominent articles on the nature of justification, the problem of skepticism and the philosophy of perception. Karen Bennett and Derk Pereboom have been added to the Sage School's faculty in metaphysics in the last decade. Bennett arrived from Princeton in 2007, and her research focuses on issues in constitution and grounding, with extensive applications to the philosophy of mind. Her much anticipated book in this area, "Making Things Up," will be published soon. Work by Derk Pereboom, who also arrived in 2007, focuses on the metaphysics of agency, with two books on this topic, "Living without Free Will" (2001) and "Free Will, Agency, and Meaning in Life" (2014), developing a skeptical view about human free will. Pereboom's other main research focus is in philosophy of mind, with a book, "Consciousness and the Prospects of Physicalism" appearing in 2001. Robert Stalnaker was prominent in logic and philosophy of language while at Cornell in the 1970s and 80s. He has made important and influential contributions to logical theory, the analysis of counterfactual statements and possible worlds semantics in particular, and also to various areas in the philosophy of language. Harold Hodes, who began his career at Cornell in 1976 and is still a faculty member of the Sage School, authored several highly regarded papers in mathematical logic. Most recently, philosophy of language has been taught by Will Starr, a recent Rutgers Ph.D., who has authored important papers on conditional statements and on deontic modals. Nicholas Sturgeon, who joined the Sage School in 1967, has done important work in ethics and the history of ethics. His influence, and that of Richard Boyd and Richard Miller, resulted in a strongly non-reductive version of moral realism that has come to be called Cornell Realism. In this view, moral properties are irreducible, and real features of the world and their reality are grounded in the success of moral explanations, much as the reality of the properties that physics invokes is grounded in the success of physical explanations. The most influential articles that develop this position were authored by Sturgeon and Boyd in the 1980s and 1990s. In recent years, Richard Miller has focused on issues in international justice, culminating in his 2011 "Globalizing Justice: The Ethics of Poverty and Power," an original account of international justice. That same year Terry Irwin published a monumental three volume work on the history of moral philosophy, "The Development of Ethics." Erin Taylor now works in moral and political philosophy, in particular on the role of convention in an account of political obligation; Kate Manne works in ethical theory, specifically on the nature of moral reasons. Most recently, Julia Markovits, joined the faculty. She has a prominent record in ethics, including a book just published, "Moral Reason," in which she develops an original theory of what it is to have a reason for moral action. The next addition to the Sage School was Andrei Marmor. Marmor is a highly acclaimed scholar in philosophy of law, with a focus on the relationship between law and morality. He is the author of "Interpretation and Legal Theory" (1992), "Positive Law and Objective Values" (2001), "Law in the Age of Pluralism" (2007), "Social Conventions" (2009), "Philosophy of Law" (2011) and "The Language of Law" (2014). Ancient philosophy has always been taught at Cornell, but the appointment of Terry Irwin and Gail Fine in 1975 opened a new chapter in the Sage School's treatment of this topic, with regular courses at all levels on Plato, Aristotle, the Pre-Socratics and the Stoics. Fine and Irwin are among the most highly acclaimed scholars in this area worldwide, and they attracted a significant number of talented graduate students in ancient philosophy to Cornell. Well-known scholar Jennifer Whiting also worked and taught in this area from 1997-2003. More recently, Tad Brennan and Charles Brittain have led research in ancient philosophy: Brennan's "The Stoic Life: Emotions, Duties, and Fate" (2007) is a highly respected account of Stoic moral philosophy, and Brittain has done important work on a number of key figures in Hellenistic Philosophy. Norman Kretzmann's appointment in 1966 made Cornell a major center in the study of medieval philosophy. His writing and teaching in this area has been extremely influential. A number of important figures in the field did their graduate work with him at Cornell, including Scott MacDonald, who is now a member of the Sage School faculty. MacDonald specializes in Aquinas and Augustine, and Brittain, Brennan, and MacDonald make Cornell one of the world's premier centers of Augustine scholarship. The study of Kant is the area of modern philosophy most fully covered by the department. Allen Wood joined the Sage School in 1968 and regularly offered courses on Kant's philosophy until his departure in 1996 for Yale. While at Cornell, Wood published two books on Kant's philosophy of religion, one on Hegel's ethics, and another on the thought of Karl Marx. During this period, he was also the co-editor and co-translator of what has become the standard Cambridge translation of Kant's "Critique of Pure Reason." Michelle Kosch, in the Sage School since 2007, specializes in the moral philosophy of Kant, Fichte, Schelling and Kierkegaard, and is the author of "Freedom and Reason in Kant, Schelling and Kierkegaard." Andrew Chignell, who arrived in 2003, has done significant work on Kant's views on belief and faith, and on his metaphysics of modality. Derk Pereboom also specializes in Kant and teaches the history of modern philosophy. Philosophy of science has been covered in courses by Richard Boyd and Richard Miller. 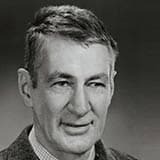 Boyd was a pioneering figure in the development of contemporary scientific realism, and he also works in philosophy of biology, in particular on issues in evolution and in biological classification. Prominent alumni of the graduate school include: John Perry Ph.D. '68; Robert Adams M.A. '67, Ph.D. '69; Marilyn Adams Ph.D. '67; Eleonore Stump, Ph.D. '75; Hilary Kornblith Ph.D. '79; John Martin Fischer Ph.D. '82; Richard Moran M.A. '86, Ph.D. '89; David Copp '76; Gerald Postema '76; A. John Simmons '77; David Brink '85; Christopher Shields '86; Susan Sauvé Meyer '87 and Ralph Wedgwood '94.